We have found that when planning a long distance walk that does not end where you first started from (i.e Linear) gives you several headaches from a logistical perspective. Our main worry was getting ourselves to the start and also being able to get back from Poole once we had (hopefully) completed walking the path. We needed to drop our own car at Angie's Mums in Bridport therefore in the end we decided to hire a car which Dave would drive and travel in tandem with Angie driving our car. 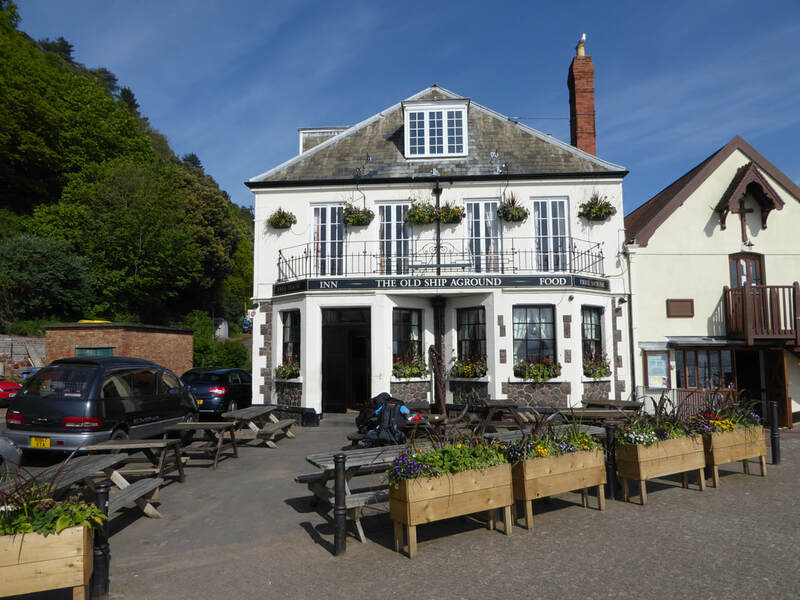 We would then stay the night in Bridport and all travel up to Minehead in the hire car. On arrival in Minehead we then decanted our gear to the B&B and then had to return the hire car to Taunton - Dave did this and then caught the bus back to Minehead. A simple enough solution to the problem. Whilst Dave was away in Taunton Angie met a couple walking along Minehead sea front - during their brief chat, Angie recognised them both from a TV programme and they kindly gave us £5 for Fudge's Charity. That evening we met up with friends for a bite to eat at the B&B, did some last minute checking of kit before getting our heads down in readiness for the start of our 54 day adventure. The planning had been methodically completed and we were ready to go. The pub is a few hundred yards from the start of the path and suited our needs perfectly. It is about a 15 minute walk to the centre of Minehead for those last minute purchases before you set off. We had an adequate room and also had our evening meal here - both this and breakfast were good.